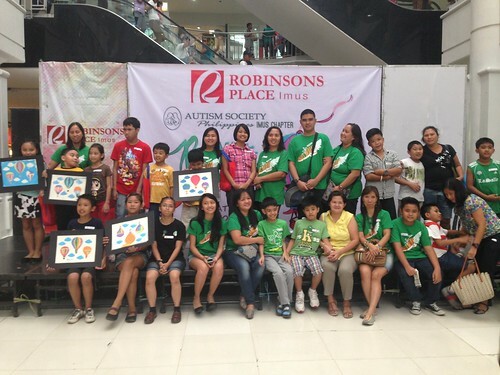 ASP-Imus held a watercolor workshop entitled Pursuer of Dreams last September 27, 2014 at the activity center of Robinson's Place in Imus, Cavite. It was attended by 10 CWAs, 7-15 years of age, and their siblings. Most of them came from the Imus Public Sped Centers. A kind-hearted individual who also has a brother in the Autism Spectrum provided the art materials and snacks for this event. It is one of her dreams to organize a watercolor workshop for CWAs to help them and their siblings express themselves through painting and thereby create a bond between them. The parents of the participants are very thankful for this opportunity given to their children. They are very proud of their kids for their achievements in that activity.